I would like to take this opportunity to thank you for your excellent work and clear advice in dealing with a recent incident regarding an office staff member. Your guidance and professionalism at this time have undoubtedly saved the company from a long and contractual situation, at a time when tensions were extremely high. 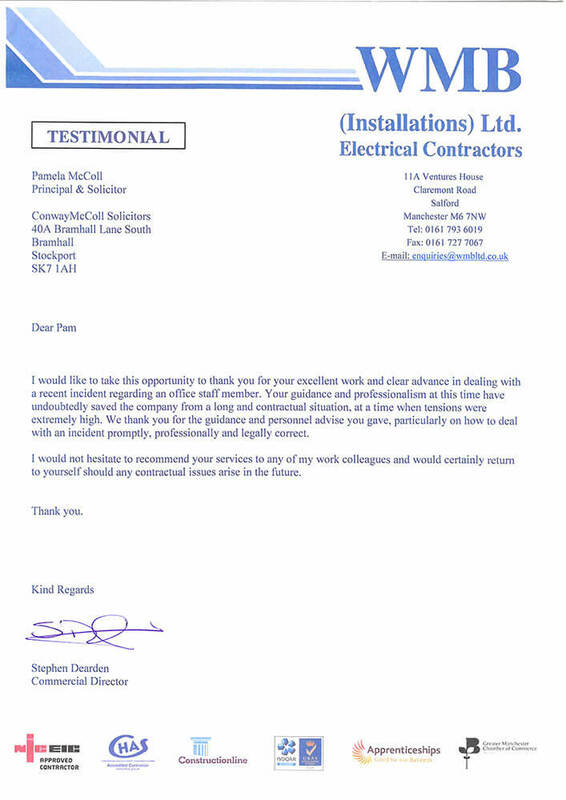 We thank you for your guidance and personnel advice you gave, particularly on how to deal with an incident promptly, professionally and legally correct. I would not hesitate to recommend your services to any of my work colleagues and would certainly return to yourself should any contractural issues arise in the future.